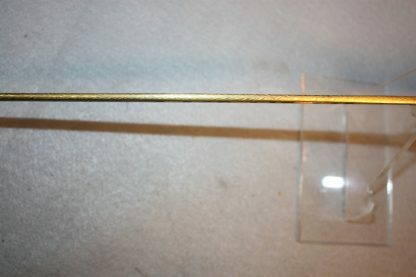 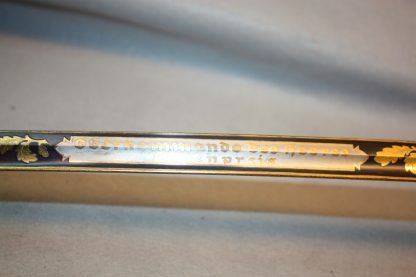 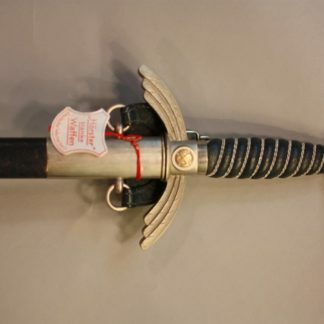 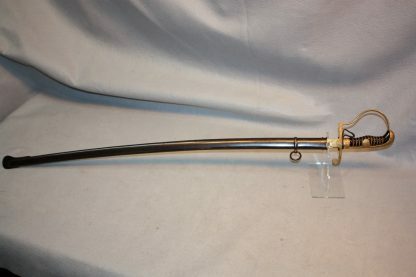 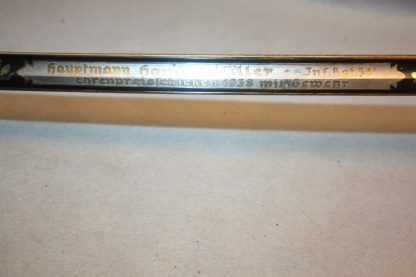 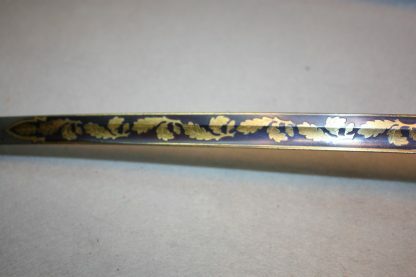 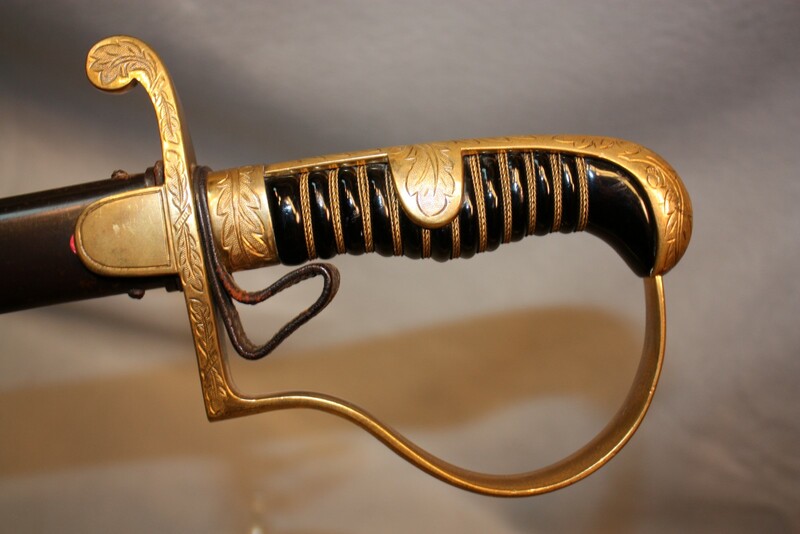 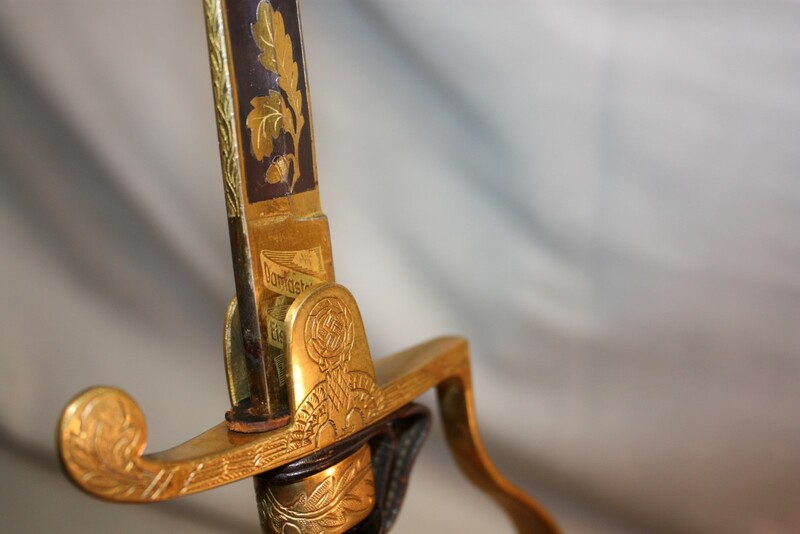 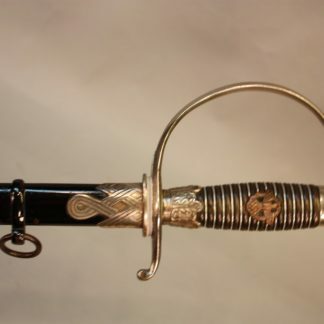 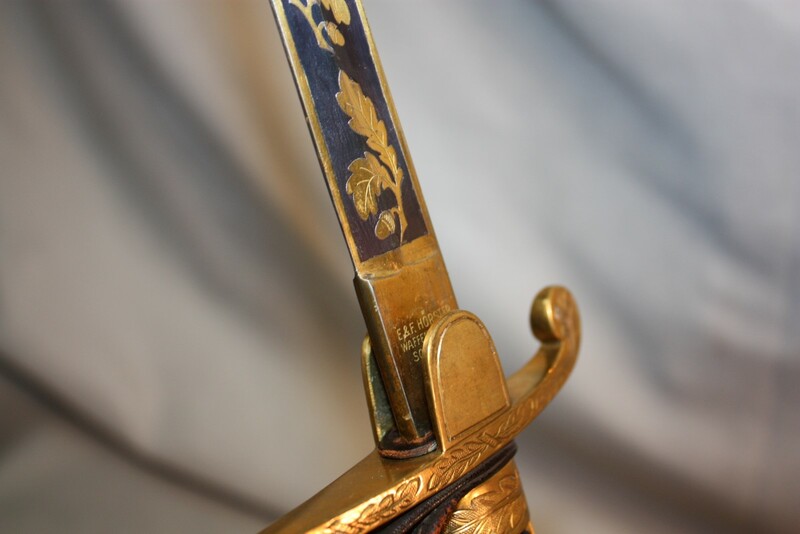 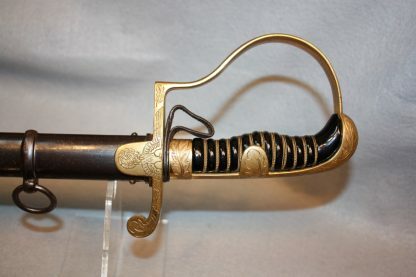 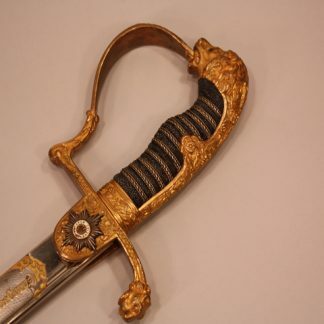 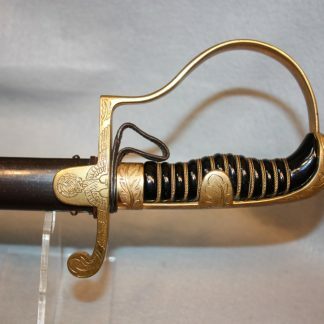 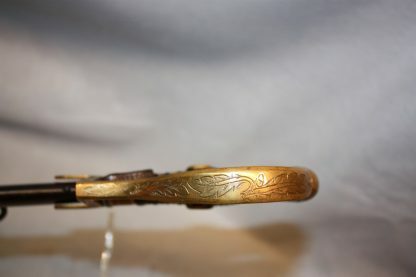 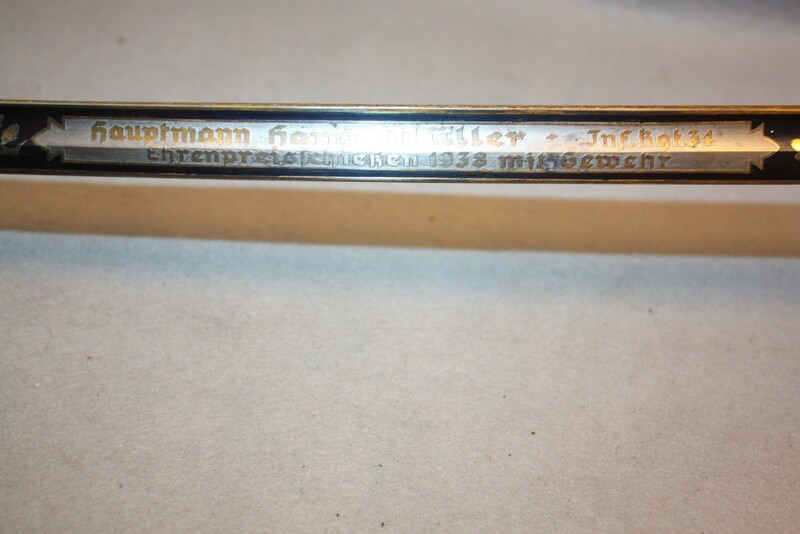 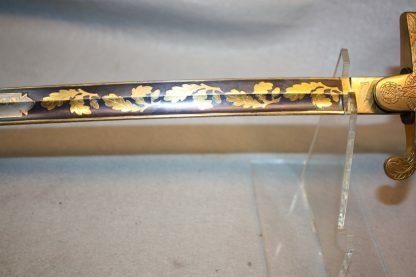 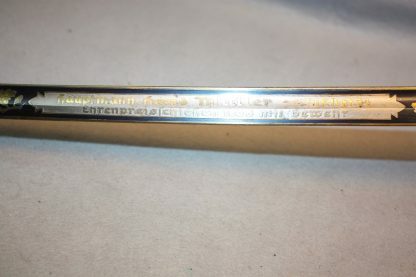 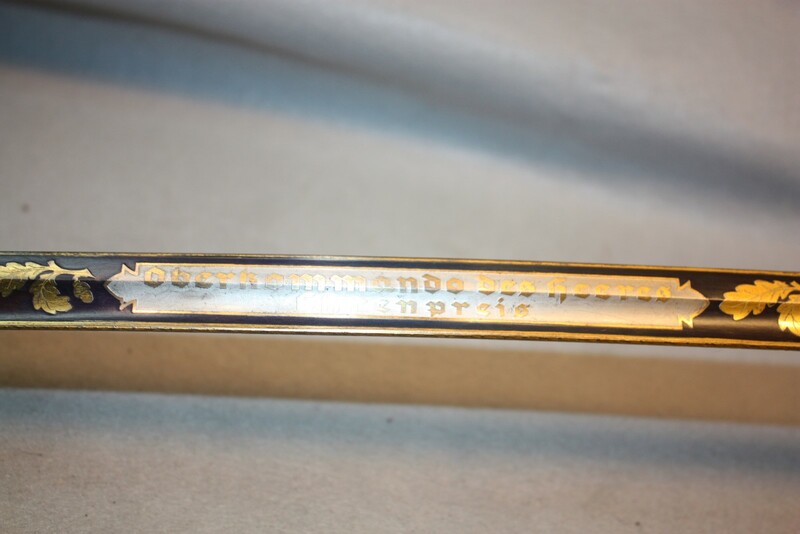 Shooting Prize Sword by EF Horster – Military Collectibles, Inc.
1938 dated sword was to a Capatin Hans Muller of Infantry Regt. 34. These swords dated 1938 are the last year they were given. 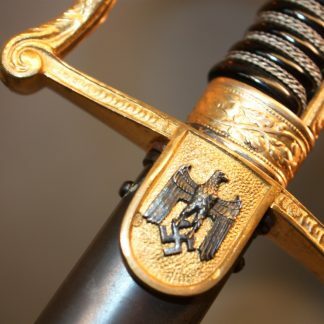 These are the only swords that had an army eagle engraved on the crossguard. 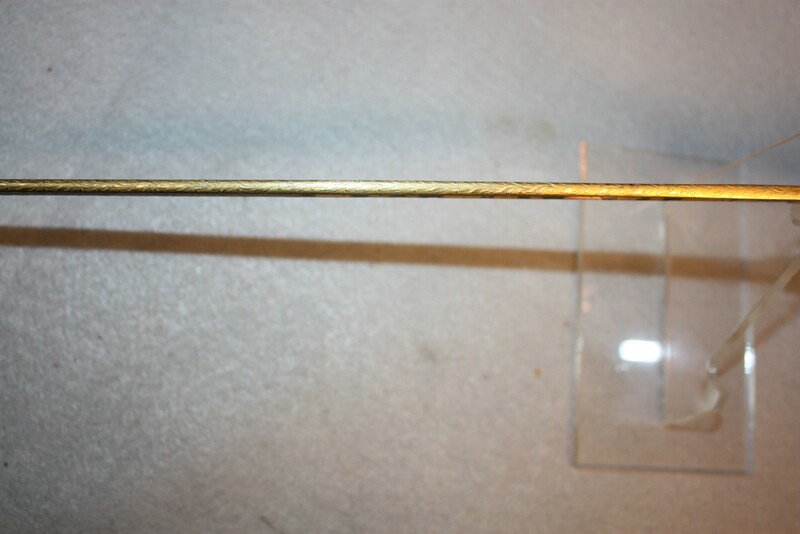 The gold rates about 95% the grip is perfect with clean wire wrap. 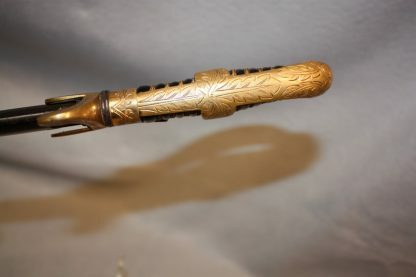 The spanner has not been played with and the piece still has the original leather finger tab. 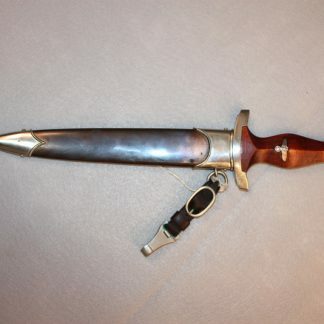 A beautiful swrod not often encountered.